Whether you need to print bar codes, text, graphic images or from data bases, Labelview 8.0 has the features to help you. With this software you can design and print labels with ease. 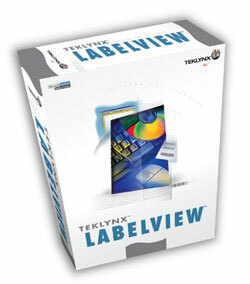 Labelview 8.0 supports over 30 bar code symbologies, true type fonts and over 850 thermal transfer and laser printers providing the flexibility to handle all of your labeling applications today and in the future. Do you need to print net weights, sell by dates, ingredient statements, NLEA formats, bar codes, shipping labels? Let Labelview take the headache out of designing and printing labels. Download a demo version now or call for a free demo disk. Click on image to see enlarged view in a new browser window. NutraCoster Pro 2.1 Now includes Trans Fat. This leading Recipe/Formula Costing and Nutrition Analysis software is now even better! The enhanced Nutrition Analysis now includes Trans Fat. Product costing now includes overhead and packaging costs. This software allows you to completely and accurately account for nutrient changes during food processing. It is network ready allowing multiple users access to the system simultaneously. You can only add 10 items to the Master Items List. You cannot import Recipes/Formulas or Ingredient Libraries. You cannot change item descriptions. For a free demo click here to download. The demo is 14MB. It will take around 55 minutes with a 28.8K modem (approx 3 minute with broadband).